By about mid-afternoon of January 6, 2015, the Puerto Vallarta Food Tour had come to an end and all the participants went off in different directions. 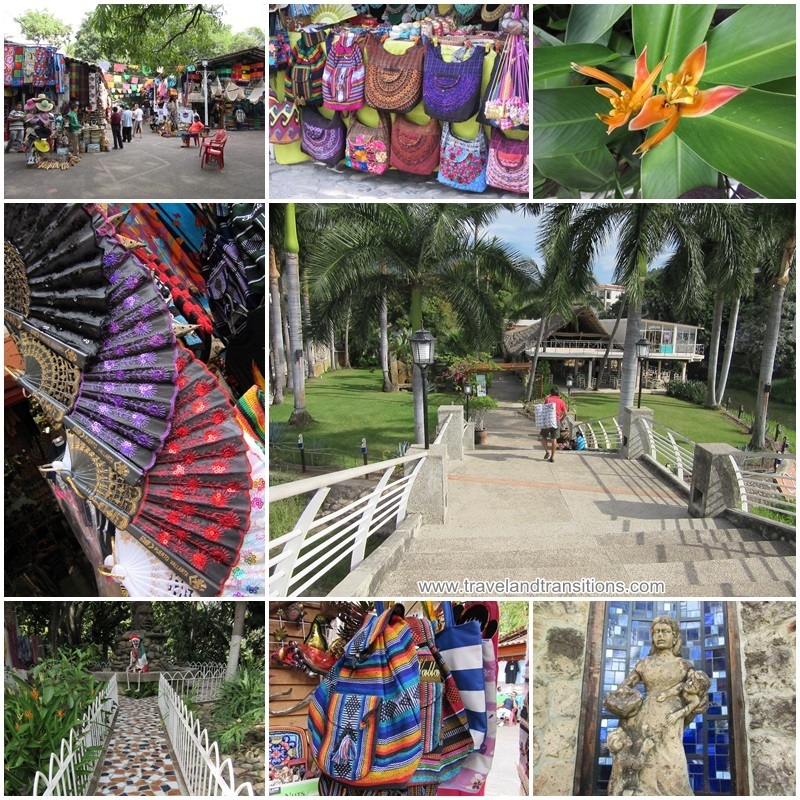 But we had all gotten to know the city so much better; this walking tour with Puerto Vallarta Food Tours was really a great way of acquainting oneself with Puerto Vallarta’s Zona Romantica and the Colonia Centro. And we filled our bellies at the same time with all sorts of local sweet and savoury delicacies. 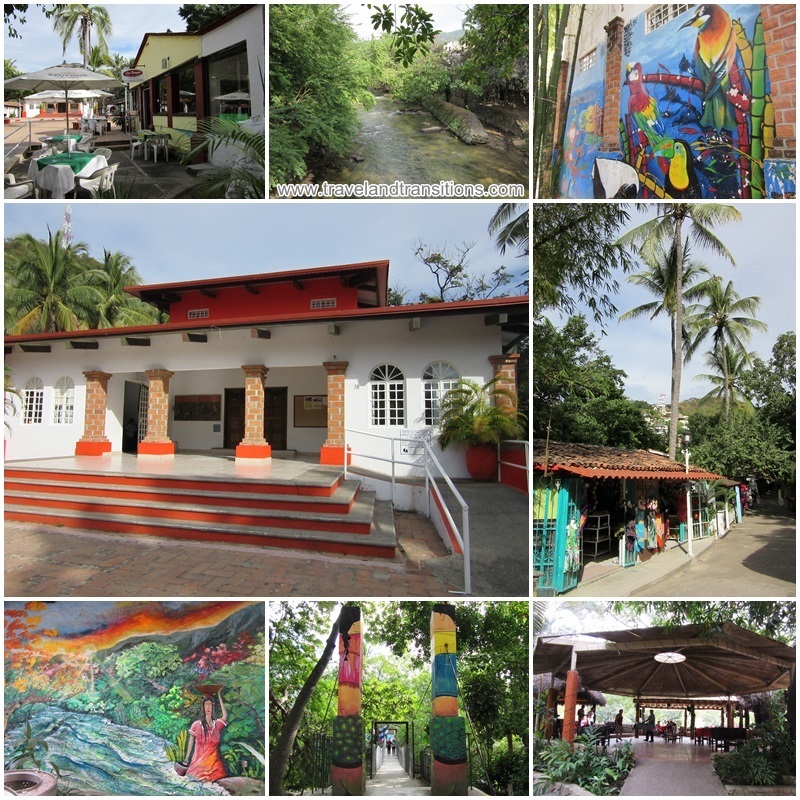 We had ended our walking tour at Orgulla Azteca which is just two blocks from the Puerto Vallarta waterfront. 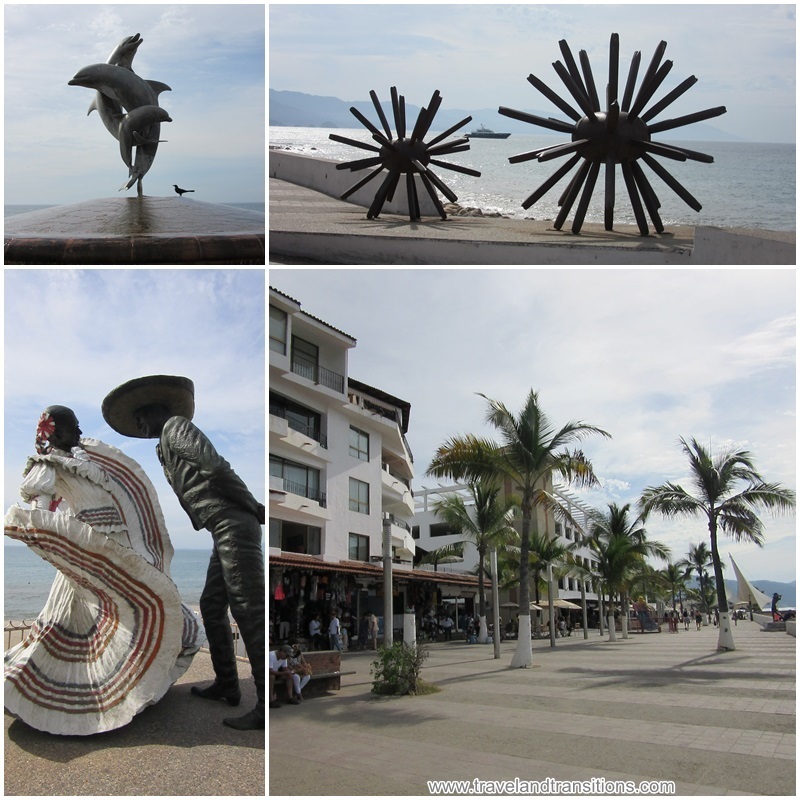 In recent years, Puerto Vallarta has really spiffed up its “malecón” (the Spanish word for waterfront promenade) and equipped it with all sorts of statues that provide interesting conversation pieces and great backdrops for photos. The malecón is about a mile (about 1.6 km) long and a great spot for a leisurely walk, an ice cream and some entertaining people watching. Puerto Vallarta has installed many interesting sculptures and status along the waterfront. 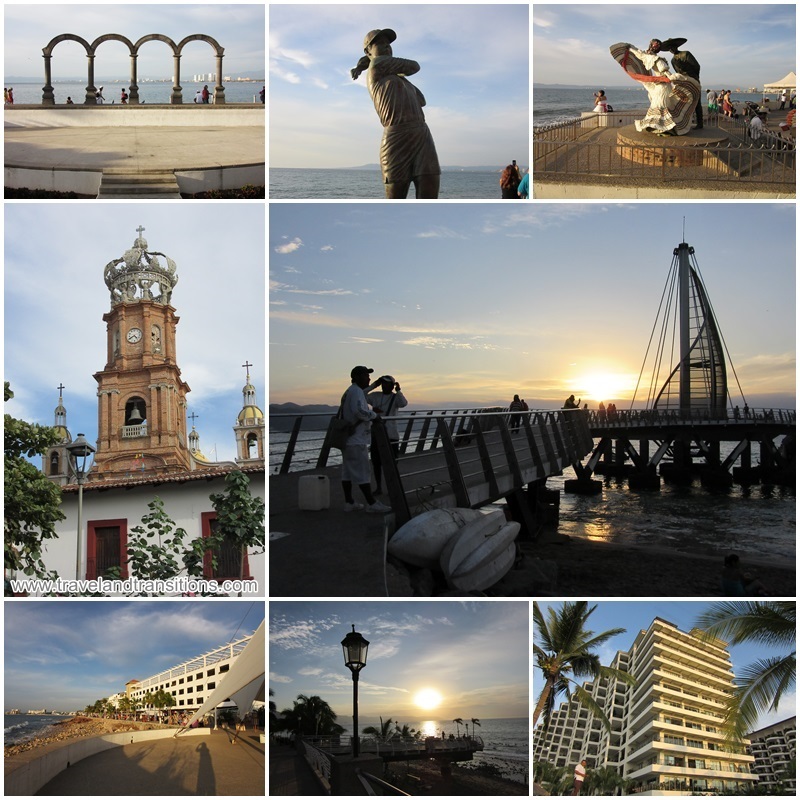 I kept walking south on the malecón until I reached the Cuale River which separates Puerto Vallarta’s old downtown – the Colonia Centro – from the Zona Romantica where most of the restaurants are concentrated. Cuale Island – or Isla Cuale – is a longitudinal island at the mouth of the Cuale River and the western part of the island is full of handicraft stalls selling souvenirs of all kinds, ceramics, jewellery, clothing, paintings and other Mexican mementos. It’s a colourful and shady oasis that is full of action and shopping opportunities. From either the north or south side you can get onto the island on foot by walking across swaying wooden bridges and it is a bit of an art to walk the bridges without causing them to sway too much. The secret is to walk right in the middle, using small steps. Naturally, there are always a few practical jokers around that love make the bridge sway wildly, to the dismay of anyone who is walking behind them. The western part of Isla Cuale has a crafts and souvenir market. East of Calle Insurgentes things get a little quieter on Isla Cuale. There are a couple of cafes and a statue commemorating director John Houston who put Puerto Vallarta on the map with his 1964 movie “The Night of the Iguana”. Houston was a life-long fan of Puerto Vallarta and lived in Las Caletas, a beautiful and isolated beach south of town. Also on the eastern side of the island is the Cuale Cultural Centre which is sponsored by the Vallarta Institute of Culture. Dedicated to education and recreation, this cultural centre was founded in 1983 and offers a variety of workshops in art, music, theatre and photography. It features a large auditorium that occasionally screens movies or hosts a variety of live performances. Some of the buildings are decorated with murals that showcase topics of local interest and history. The eastern part of Cuale Island features a statue of John Houston and the Cuale Cultural Centre. From Isla Cuale I walked back out to the waterfront and continued south on the malecón into the Zona Romantica. This part of town is also referred to as “Viejo Vallarta”, “Old Town” and “South Side”. On this side of town you can find cobble-stoned streets and white stucco houses with red roof tiles. Many hotels are located here next to the Malecón as well as numerous beachfront cafes and restaurants along the Playa de los Muertos. 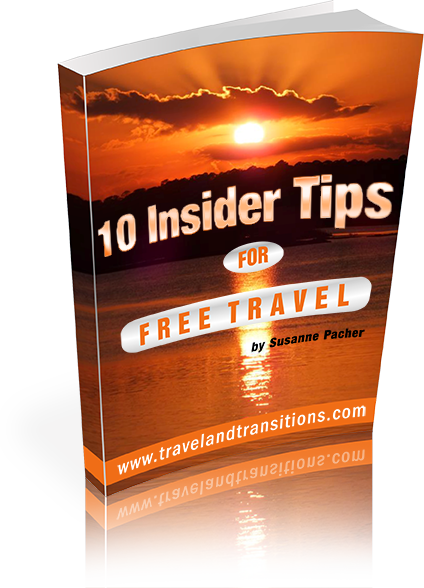 Tourists love to congregate in this area because of its lively and entertaining atmosphere. Since January of 2013, the big attraction here has been the Pier, one of the centrepieces of Puerto Vallarta’s downtown renewal program. The pier was designed by famous Mexican architect José de Jesús Torre Vega who won the Mexican Biannual Architecture Prize. The pier and the entire Puerto Vallarta waterfront are fabulous places to enjoy the fantastic sunsets when the sun disappears slowly beneath the horizon of the Pacific Ocean. The malecon is a great place to enjoy the magical sunsets of Puerto Vallarta.